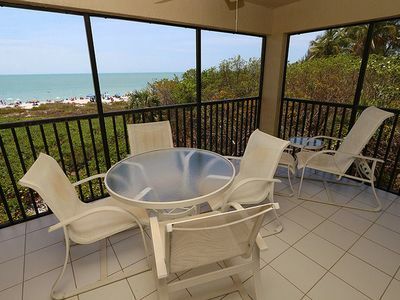 Oceanfront Condo,right on the Gulf of Mexico,great place for sunset lovers. 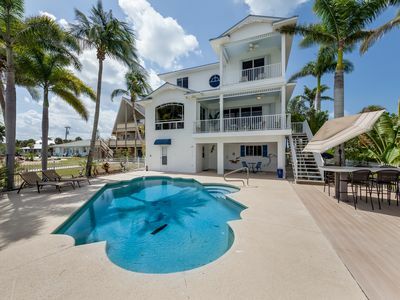 This 'sun kissed' Sun Caper condo is located right on the quiet side of Fort Myers beach with an incredible ocean view with the bluest waters, the whitest sand and the soft breezes that go with it. 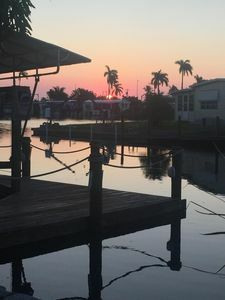 As the day ends, enjoy spectacular sunsets from the balcony. 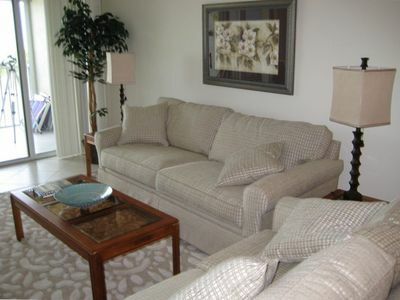 This condo is beautifully and comfortably furnished for your relaxing vacation. 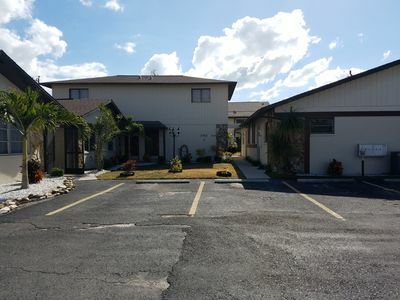 The unit was completed renovated in 2008 with all new furniture,appliances,bathrooms and kitchen. 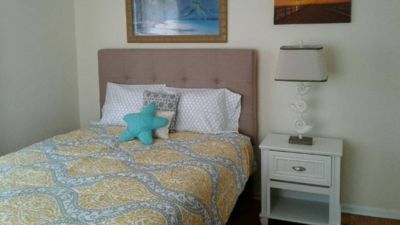 Other features include flat screen TV's in both bedrooms as well as in the living room. 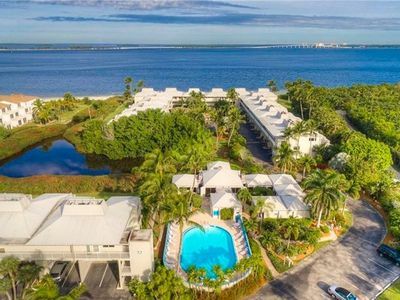 The Sun Caper is conveniently located next to Lovers Key State Park where you can ride a bike, kayak or even rent a boat on your own or take a sightseeing tour. 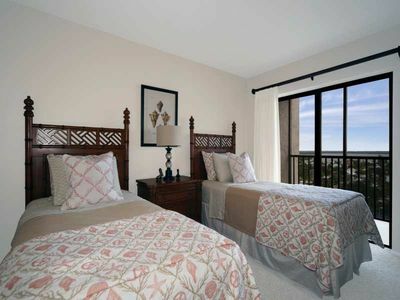 Also easy access to restaurants, theatres shopping and entertainment. 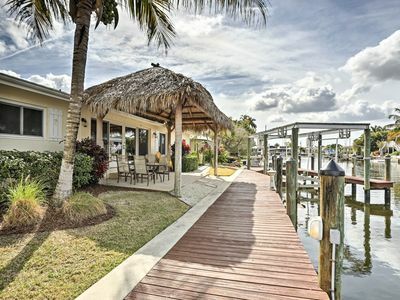 jogging, golfing or boating, Fort Myers Beach offers it all! 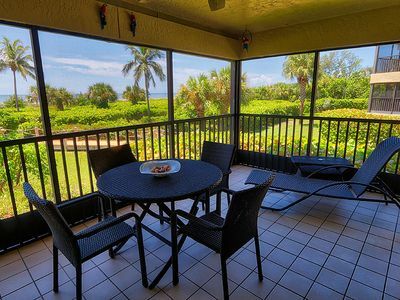 This condo is beautifully and comfortably furnished for your relaxing vacation. 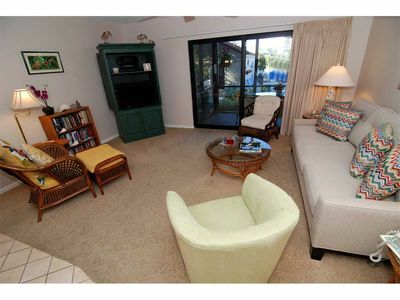 The unit was completed renovated in 2008 with all new furniture,appliances,bathrooms and kitchen. 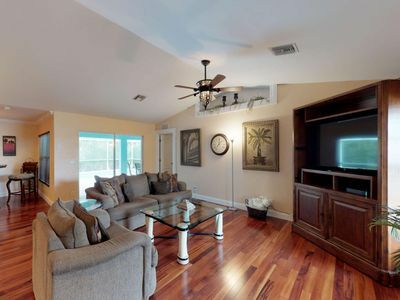 Other features include flat screen TV's in both bedrooms as well as in the livingroom. 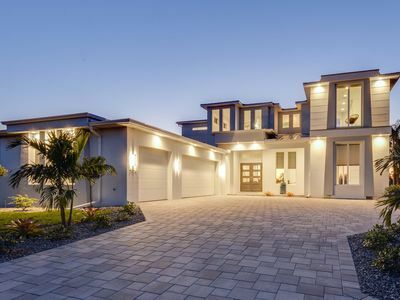 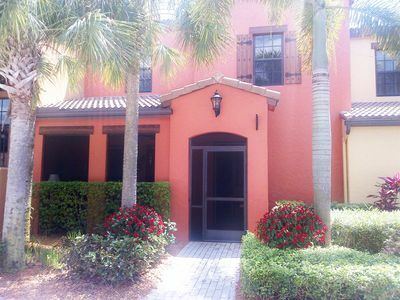 Welcome To Mango House In Bonita Springs! 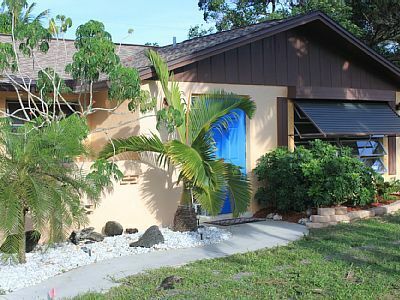 WHITE SAND BUNGALOW! 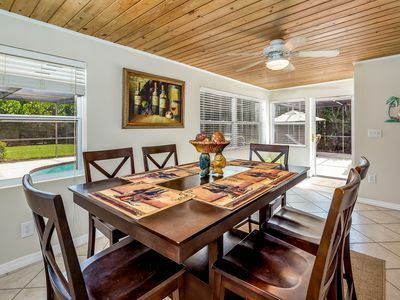 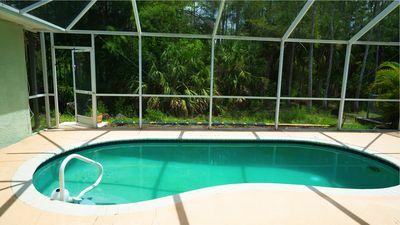 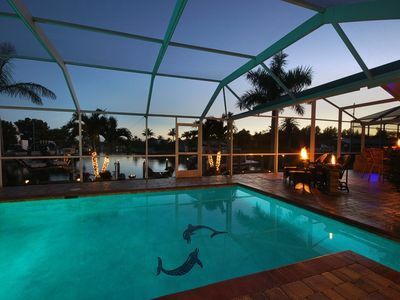 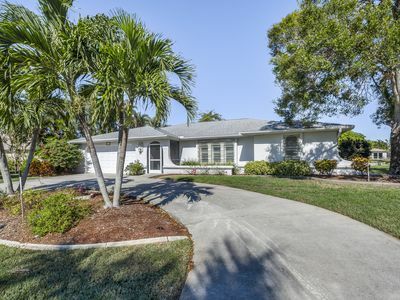 POOL HOME 1.5 MILES FROM BONITA AND BAREFOOT BEACH! 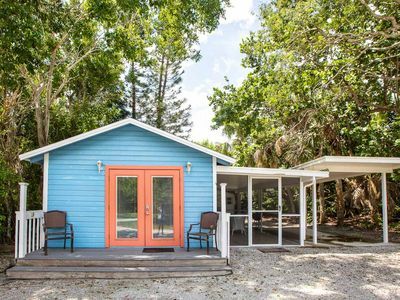 FREE SEASONAL CABANA INCLUDED! 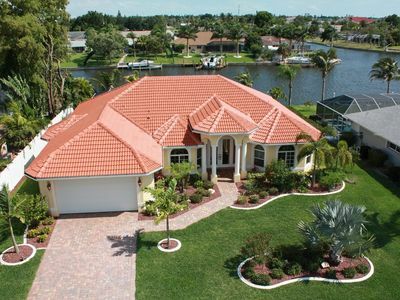 ISLAND WINDS 1222 Click for reviews!